Here’s another installment in our collected chronicles of Tender Mercies. Maybe you’re not a millionaire. Maybe you haven’t yet realized that big vision for your life. Maybe your relationships aren’t what you want them to be. Maybe you’re still waiting for that breakthrough that never seems to come. Maybe you struggle with your health, or maybe you’re caring for someone else who is. It’s been such an interesting week, so full of ups and downs – more specifically downs followed by ups! July has been a very challenging month for many reasons, not the least some very tight financial situations. When creating our vision board for this year, we really wanted to have a family trip (we hadn’t been able to do anything like that together for a couple of years because of my husband’s illness) – and to be able to send Kate to EFY. Well, the second goal was accomplished early in the year when thanks to some very generous relatives and earning a scholarship, Kate’s EFY spot was funded for us! The available date was for the end of July/beginning of August at BYU in Utah, so we decided to try to plan our family trip around that, since we have lots of family to stay with there, and so many things we love to do, such as hiking, visiting the temples, spending time with cousins, etc. As the end of July approached, things were very tight, and I had barely enough money for gas to get to Utah. I had booked some photo sessions for while I was there to make it a “working” vacation that would pay for itself, so I knew once I got there we would have enough money to get back. But getting there was looking to be challenging. My husband and I had felt prompted several times that we needed to pay our tithing this month. Since he has been too ill to work, paying tithing has been a lot more of a sacrifice, because there is ALWAYS more month than money at our home and rarely enough to cover even the necessities. But we still managed to stay current on it usually at the end of the year when I have the majority of my business and can figure out what my actual profit has been after deducting expenses. But I had just enough in the bank to pay tithing on the one big order I had gotten from a client and we decided together we would do that in faith and trust that things would work out. Two days later, just a week before our planned trip, I got a phone call from my husband in distress that his medicine/supplements had run out so much faster and that he needed $240 right away to get some more or he would be sicker than ever. I had only $50 in the bank after paying our tithing and I tearfully told him that I couldn’t make it happen right now, but that I would try to figure something out. I didn’t realize that the gal who leases my horse and was helping me clean at the barn could hear bits of our conversation, and before she left for the day, she told me she was going to be out of town the next week and offered to pay for next month’s lease 2 weeks early. It was exactly the amount I needed to get my husband’s medication. I gratefully accepted and he was able to go without skipping any doses. Tender mercy #1. We had planned to leave on Sunday after church so that we could drop Kate off Monday morning for EFY and then stay until time to pick her up and take her home. On friday, both of our family cars refused to start. On our van, which I was planning on taking to Utah, the key would not even go into the ignition, in spite of all of our efforts (and liberal application of WD-40). To make matters worse, it was parked in an area that was going to have street sweeping in the morning and would be towed if left there. So we had to have it towed across the street in front of our house. The same day, the smaller car in our family just refused to start. We thought it might be battery related but were really not sure. I had a photo session with one of my best clients that night and I had to borrow a friend’s rental car just to get to my session. It was quickly looking like the trip we had planned for and dreamed about was just not going to happen. I didn’t have enough to fix either car OR pay for a rental car. I had barely enough money for gas. Kate would be sorely disappointed to miss EFY -and the family member that had helped pay to get her the spot wouldn’t be too pleased if she didn’t show up! I was in need of a miracle, and fast! This wasn’t the result I had hoped for after paying my tithing. But I remembered all of the times that great setbacks have been followed by even greater blessings in my life and I prayed. I knew that the solution to our current problems was just an idea away. 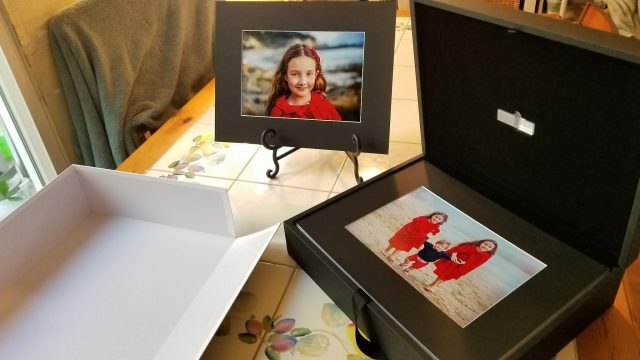 After my prayer, my thoughts were immediately directed to the beautiful sample image box I had purchased for $350 at a photography trade show in March. I was saving it for the perfect client. I thought about my client for that very evening – a family visiting from Singapore. I had already photographed their family once this month and their company also but had not received any orders yet. The idea that came to me was to create a beautiful set of prints to go in this matted image box and bring it with me to the session and offer it for sale. I got right to work and spent hours putting it together, finishing it barely in time to have my friend drive me in her car to the session. After the session, I nervously presented the family the box full of beautiful images. They loved it. Even with the high price tag of $4000 (including all of the digital files). But she had to think about it. If she was going to buy it, she wanted to have the images I had just taken that evening included as well. Given the timeline of hoping to be ready to leave town by the next day and I still hadn’t downloaded, culled or edited any images from this shoot it felt impossible. But I told her I would make it happen. They were leaving to go back to Singapore on Monday evening and it would need to be completed by then. 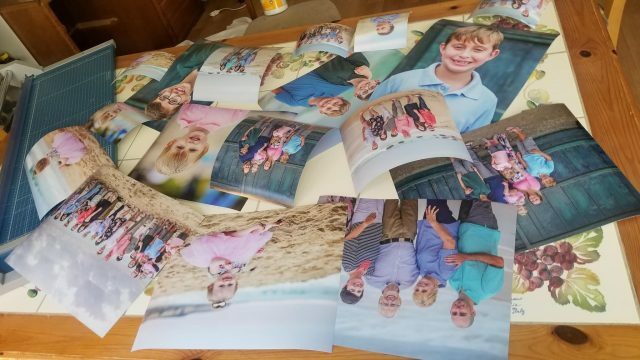 I got to work right away after our session, but realized there would be no way I could have it culled, edited -and have them select their favorites – retouched, and printed by the next day. I would need to work around the clock until they left on Monday. And Kate had to be there Monday morning. Hmmm….next idea. Ask for pre-payment for one of my sessions I had booked in Utah. Sent a text and got enough money from that to book a flight for Kate early Monday morning. Then I had the idea to contact a few of my other Utah clients offering free delivery in person and a discount on their order if they wanted to order prints from their sessions – the would just need to choose their images right away so I could get to work. Well two clients took me up on this and they paid me enough to get a rental car for the week and a little extra. So I booked a flight for Kate and reserved a car and got to work hoping that if I did a great job editing images from the Friday session that the client would decide to purchase the $4000 box. I worked all night Friday, all day Saturday and then all night until the wee hours of Sunday morning editing files for the client. I took the day off of work on Sunday, with many prayers of gratitude for all the answers and help I had been given. Sunday night my client emailed that she loved the photos I had worked on all day Saturday and would purchase the box with all new images from the most recent shoot. I was ecstatic. I got up super early Monday morning take Kate to the airport, and came back and got to work creating prints and folio boxes. I was able to finish her box just before she left to go back to Singapore. 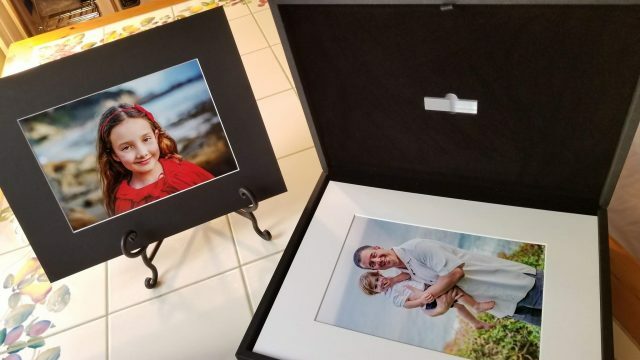 Not only did she love the box, but her husband decided to order a whole set of matted prints for their company to give as gifts to their employees from the corporate shoot for another $1000. I now had to fill all of those other print orders I had added to bring to my Utah clients and that took all day Tuesday, but I was finally able to leave on our trip with $6500 coming in that hadn’t been anywhere on my radar just a few days earlier. I am amazed and humbled by what has unfolded in the last few days. This vacation we had dreamed about as a family is now a reality, albeit a few days shorter. I went from barely being able to pay $100 in tithing on a $1000 order, and then having barely enough for gas to travel and nothing to pay for car repairs to bringing in more than $7000 in just a few short days. All of which came as blessings from the Lord and inspiration as to what actions to take and who to call. I have learned (again) that even when things seem at their most desperate and impossible, there is always hope that things can turn around very quickly! And that it often seems to get worse before it gets better, as when right after paying tithing I didn’t have enough money to pay for medicine and then both cars broke down on the same day when things were already tight! And yet always, mostly at the last possible moment, something comes through. Thanks for sharing, Vanessa! This is a perfect example of how the little miracles can really begin to add up when you’re doing what you can to live the principles the best way you know how. Could YOU use some help understanding the principles better? Even Mindset Mastery students come back to the Fundamentals Ecourse to fill in the gaps and increase their effectiveness. Click here to learn more about the Fundamentals Ecourse now, and let me help you build that better life from a stronger foundation! We thank God. May He continue to bess your business. I have not worked for over 2 years but when I started giving 10% as tithe for any money I receive I am blessed with even more and I don”t have to worry about anything I need.